• Our Annual Report has been submitted to the Charities Commission. • The National SeniorNet Federation’s website has been refreshed, in particular to be more “device responsive” (i.e. to display suitably whether you are accessing it using a laptop, tablet or phone), and to be more “interactive.” The latter means that learning centres are invited to have input e.g. adding photos, success stories, and uploading course manuals to share. 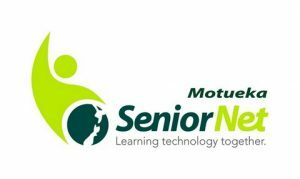 • Five members from Motueka SeniorNet travelled across to Linkwater on 7th March to attend the TOTS (Top of the South) meeting for 2019. See detail in the President’s Post. • Two committee members will be attending the national SeniorNet AGM and Symposium in Palmerston North on May 8th and 9th. • Some courses from Term One have proved to be very popular e.g. The New Age of TV, and Staying Safe Driving. Others have been cancelled due to low or zero enrolments e.g.Windows 10, Life Stories, GIMP 2, Saving and Editing Photos, Travel—booking flights and accommodation online. Planning has already begun on the calendar for Term Two. • The sticking front door at the rooms has been fixed, also the flickering fluorescent lights. • Our DL size colour advertising brochure has been updated. 100 copies have been distributed to display stands at the TDC, Library, Community House and Affordable Computers. • The committee us investigating if the loan per period for library books can be extended from 2 to 3 weeks.